Funny video 2019 - Have you ever imagined a musical instrument with five instruments that can be played together? Guiharpulele's answer. Guiharpulele is a musical instrument consisting of guitar, harp, ukulele, kalimba and washboard. Through the shrewdness of the Balinese son's hand named I Wayan Tuges, the first musical instrument in the world was created. 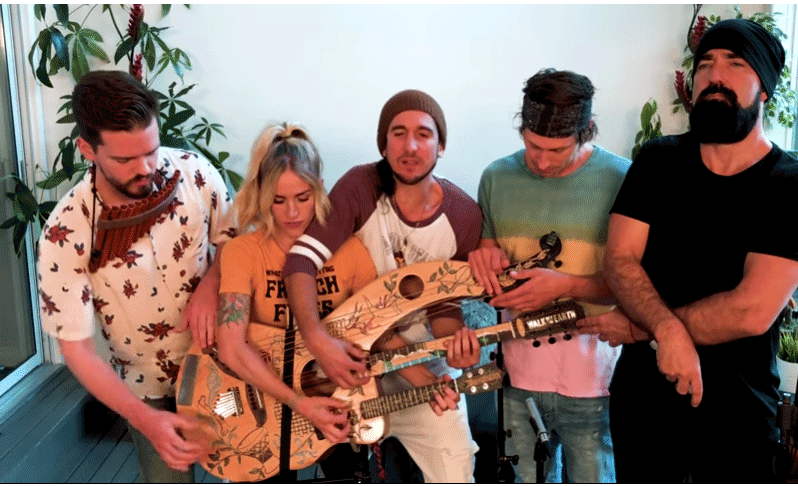 Initially, Tuges received orders for unique musical instruments with five instruments from an indie band from Toronto, Canada, named 'Walk off The Earth' in 2017. "My colleague named Dany Conveder asked me to make the instrument, I said yes I was ready," said Tuges. Men who daily have a business making this stringed musical instrument, then make the design of the musical instrument that is desired. He thought hard about how each instrument would be integrated. After completion, the design turned out to receive a positive response from 'Walk off The Earth', so Tuges could start producing it. Under the banner of Blueberry Guitars, this 66-year-old man then began producing guiharpulele from choosing the right type of wood, to testing the quality of each sound on the instrument. "They asked for the front of the wood to be white. So I used mapple wood on the front which was combined with mahogany for the sides and back," said the grandfather of nine grandchildren and two great-grandchildren. The father of four children then used pearl shells as supporting material. He also made molds or body prints for the season tools he would create. In order for the quality of each musical instrument to be good, the man who claimed to not be good at playing this instrument stripped the inner wood. However, because the technique is confidential, he is reluctant to explain in detail. After the body of the musical instrument is finished, then the buyer wants an engraving on his musical instrument, which is said to have their own meaning. "The motive for this instrument is according to the order of 'Walk of the Earth', so we do it according to their wishes," he said. Five months later, guiharpulele was finished. To test the sound quality of each instrument, Tuges asked his colleague, who was a guitarist nicknamed 'one finger' to play it. When everything was finished, then he ventured to send his product. Unmitigated, Tuges priced the price of a Guiharpulele with US $ 10,000. "Sometimes we have to be brave enough to give high prices, because the products we make are good, quality," he said. Unfortunately, there are not many domestic musicians who recognize that locally made musin products are of a quality that is not inferior to imported products. "This is a matter of mindset, there are still many local musicians who are proud of imported musical instruments, so it's nothing to buy from abroad. Even though domestic products are actually considered by foreigners," said Tuges. According to him, it was also the thing that made the business of making musical instruments with their strings on Guang Highway, Sukawati Guang Village, Gianyar, Bali, precisely crowded by overseas buyers. Meanwhile, domestic buyers are still limited by certain circles. Some well-known musicians and collectors were able to buy Tuges 'guitars, including former president Susilo Bambang Yudhoyono, Iwan Fals, and Eross Djarot, who did not hesitate to visit Tuges' shop. "Right now the percentage of foreign and local buyers is 90 to 10. Local buyers are still small. So I still remember the names. Apart from musicians, there are also collectors who deliberately come to buy," he said. The man who has made around 2,000 guitars since his business began in 2007 has had many employees, but currently only 15 are left, because Tuges wants to focus more on making products with unique and beautiful works. 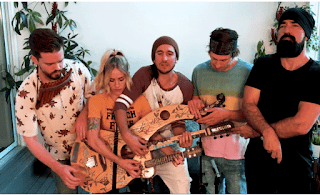 It is known, 'Walk off The Earth' has played guiharpulele by singing a song titled 'Girls Like You' on their YouTube channel. The 1.4 million viewers have witnessed how the musical instruments of the nation's children are played by indie bands from Canada.